Today marks the beginning of Cord Blood Awareness Month 2016. It’s the perfect time to debunk some misconceptions surrounding cord blood banking in multiple and twin pregnancies. Can I donate my babies’ umbilical cord blood if I’m having twins? Yes. 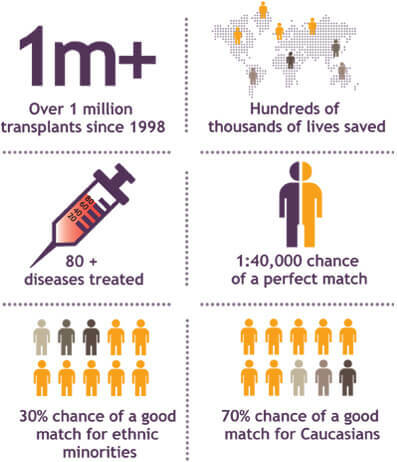 Currently only Anthony Nolan accept cord blood donations from twin pregnancies. Unfortunately this greatly reduces the hospitals available to twin mothers to donate their babies’ cord blood to just 4 in the UK. If your twins are born by caesarean section, either planned or emergency, their umbilical cord blood can still be donated. To ensure you can donate their cord blood it is important to receive your antenatal care at a hospital which collects cord blood for Anthony Nolan and to register in advance. Cord blood donation is free of charge. Can I privately store my babies’ cord blood if I’m having twins? Absolutely. Cord blood banking with private banks for twin pregnancies is much more flexible than donation simply because of the number of hospitals cord blood can be collected from. 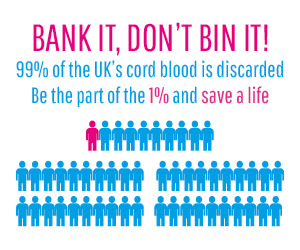 Private banks can collect umbilical cord blood at over 200 NHS and private hospitals across the UK. In addition, cord blood can be collected from home births, although hospital births are generally encouraged with multiple pregnancies. Cord blood can also be collected if your babies are delivered by c section. Additionally, twin pregnancy does not affect the procurement of cord tissue, another rich source of stem cells. While there is a charge to store cord blood privately, most private cord blood banks offer a discount for multiple pregnancies. Cord blood banking with a private bank should be arranged prior to birth. You will be sent a collection kit which you should pack in your hospital bag. How do I choose which bank? There is currently only one choice for mothers who are expecting twins who wish to donate cord blood, Anthony Nolan. For those mothers who wish to store privately, our “Choosing A Bank” guide can help you determine which bank is right for you.